Stories that must be told. Tactics that get results. 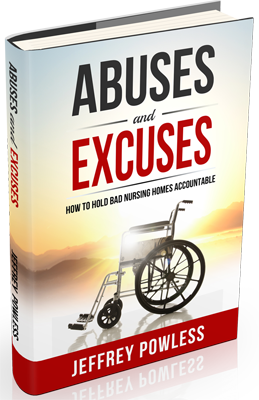 Abuses and Excuses breaks new ground in educating nursing home patients and their families about the nursing home industry, offering a wealth of insider insights and strategies that show, step by step, how to hold nursing homes accountable for abuse and neglect. 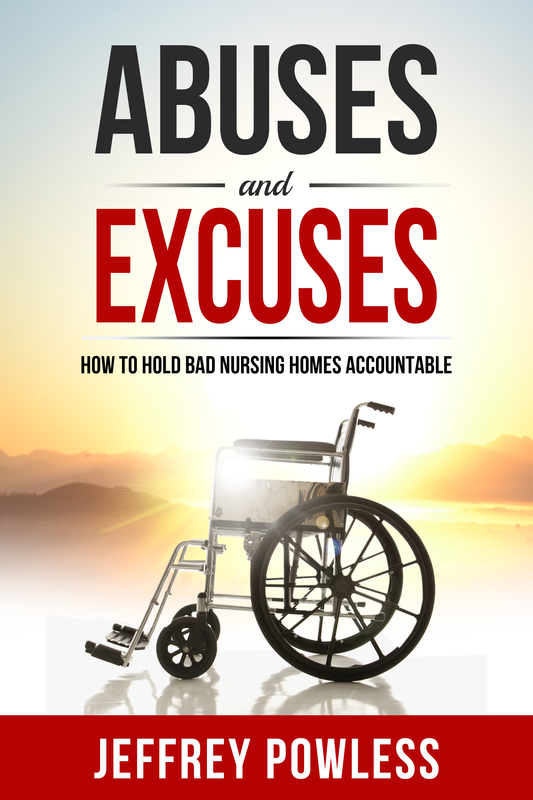 It’s an eye-opening account of corporate greed, an industry culture of coverup, and the heartbreaking harms that are perpetrated upon vulnerable nursing home patients with shocking frequency. The tools and strategies that attorney Jeff Powless reveals in Abuses and Excuses are not just theories or gimmicks. They’re actionable steps that anyone can begin taking immediately to find answers and accountability and help any patient who has suffered —or is at risk of suffering —mistreatment in any U.S. nursing home facility. Abuses and Excuses is both a journey of empowerment and a path to accountability.